Every Hawaiian song is a poem, built with words that come from a feeling heart. The songs are called “mele” and one who writes them is called a “haku mele,” one who braids words and music together that allows one heart to touch another. Songs of protest, mele ku’e, are a traditional part of the repertoire of Hawaiian music. The practice continues to this very day. One of the more beautiful projects in recent years, was Project Kuleana, which was conceived and put together by Sean Naleimaile, Kihei Nahalea and Kamakoa Lindsey-Asing in collaboration with Kamehameha Publishing and 4 Miles LLC. This video, which was published in 2013, took more than two years to put together. It has been shared thousands of times online (and otherwise) since then. More than two dozen island performing artists, including greats like the late Palani Vaughn and Ernie Cruz, Jr., and shining talents like Kealii Reichel, Brother Noland Conjugacion and many others volunteered their time and their music at a special place of their choosing to record a couple of songs – one in Hawaiian and the other in English. The first song to be published for the Project was a song that holds a special place in the hearts of the native people of the islands. 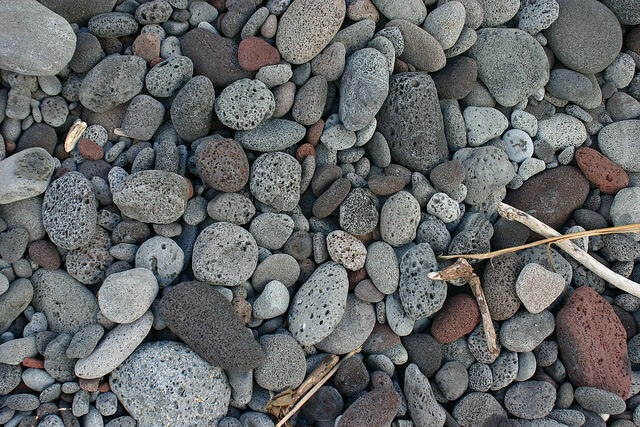 The song has had various names, including “The Stone-Eating Song” (Mele ‘Ai Pohaku), “The Patriot’s Song” (Mele Aloha ‘Aina), A Lei for Those Who Love the Land” (He Lei no ka Poe Aloha ‘Aina) and “Famous are the Children” (Kaulana Na Pua). 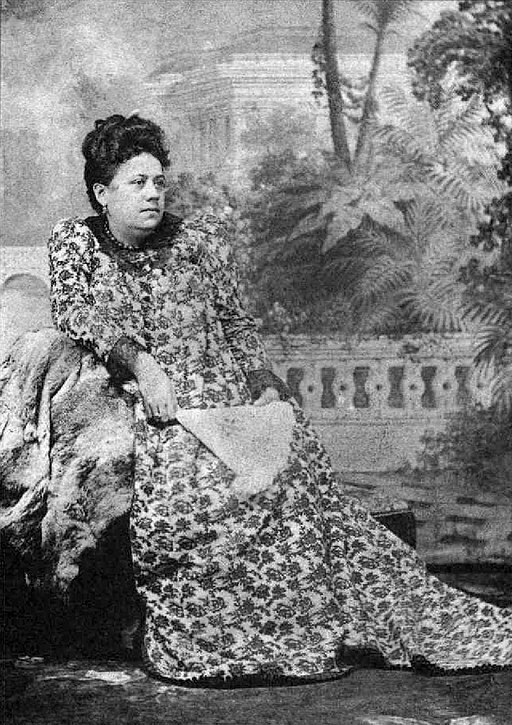 The song was written in 1893 by one of Queen Liliuokalani’s ladies-in-waiting, Ellen Kekoaohiwaikalani Wright Pendgergast during the aftermath of the 1893 coup-d’etat that resulted in the overthrow of the Hawaiian monarchy. Pendergast was already a renowned poet and song-weaver at the time. It’s important to note that Kaulana Na Pua was only one of Pendergast’s protest songs about the overthrow. There were at least ten others written by her within four months of the overturning of the Hawaiian kingdom’s government. During that same time as well other poets – native and non-native — produced at least forty patriotic and protest songs. The Provisional Government, which was composed primarily of American businessmen who lived in the islands, was an unpopular ruling minority. When their plan for immediate annexation to America was thwarted by a U. S. Presidential investigation, the country remained under martial law . 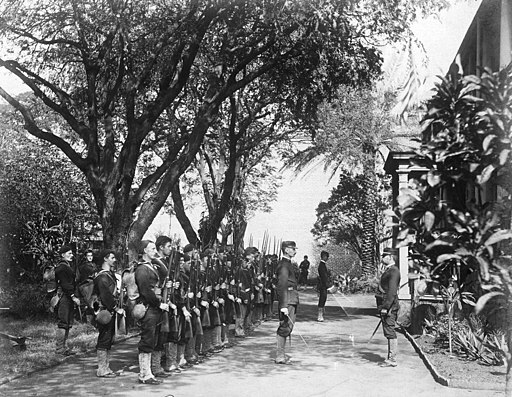 In the months following the overthrow, the protests against the Provisional Government among the citizenry, both Hawaiian and non-Hawaiian, continued. For the most part, the protests were non-violent acts of resistance as the people followed their queen’s wishes and example. The jittery “Republic of Hawaii” banned all large gatherings and kept the city of Honolulu under constant surveillance. To outwit them, the loyalists devised a secret method of passing along information by means of newly composed songs of words with kaona, double-meanings. The efforts of the infant government to hold onto the power they had seized included threats to newspaper editors and requiring all members of government – from cabinet ministers to teachers, mail-carriers and policemen – to take an oath of allegiance and deny the right of their Queen to rule them. Those who chose to stay loyal to their Queen were told they would lose their jobs. Despite these threats, many government employees refused to sign the oaths that forswore their loyalty to the queen. Among them were all but two of the members of the Royal Hawaiian Band, which had been established in 1936. 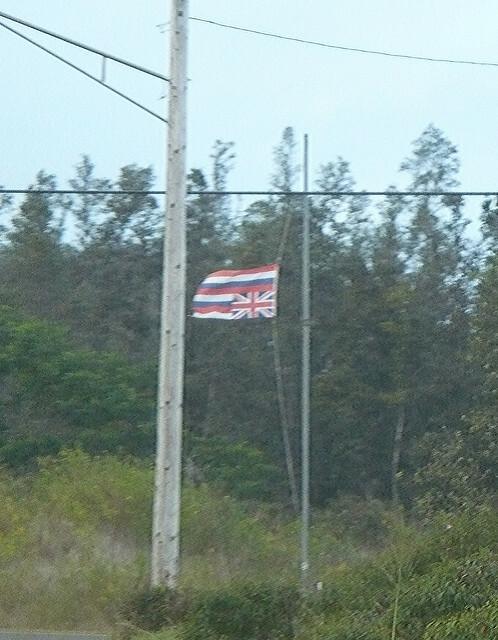 Band leaders asked Pendergast to write a mele ku’e for them that would express their passionate conviction and support of the Queen as well as their distress. She penned the mele at a table set in the family rose gardens. Some people say that the original music for the piece was written by a band-leader, J.S. Libornio. According to one story, the song was presented as a warrior’s chant and the dance that accompanied it was full of aggressive moves and attitude. The musical notations for the song were lost in the intervening years. After World War II, when there was a revival of interest in traditional Hawaiian music, Pendergast’s daughter Eleanor took the lyrics to a professional songwriter Maddy K. N. Lam and asked that she write music for it. This was subsequently published and copyrighted and has become the standard version of the song. To my (somewhat irreverent, modern) mind, this seems like taking a slam poem and turning it into a waltz…but, that’s just me. It is the way the song has been sung ever since. The queen’s supporters sang the song and it spread, as folk songs do. It was printed in several Hawaiian-language newspapers and became even more popular. By the fall of that year there was a massive petition drive encompassing the islands that supported Queen Lili’uokalani and in opposition of the annexation. These documents, known as the Palapala Hoopii Kue Hoohui Aina (Petition Protesting Annexation), were presented to the U.S. Congress as proof that the great majority of Hawaii’s citizens opposed the annexation of Hawaii to the United States. For a number of reasons, the petition did not stop the annexation nor was the country returned to the Queen and her people. The world marched on and for many years the song remained as a poignant reminder of the sorrow and the sense of loss among those who loved the world as it had been. During the first half of the 20th century, the song was treated with the utmost reverence and respect one shows to spiritual and sacred songs. It was never included among the repertoire of popular Hawaiian dances. The song was very rarely danced except on special occasions and only when the audience could understand the full significance of the words and language that was used. The dancers who performed the hula for Kaulana Na Pua back then customarily wore black holoku (a loose, seamed dress with a train) and only their hands were used to interpret the meaning of the words. It was an especially powerful way to present the song. When danced in this way, every word and each thought contained in the song could be imbued with emotion and power. Nothing was allowed to distract from the focus on the words. This was why it was felt that only a master dancer could perform the dance properly. But the times they were a-changing. The hostility softened in time and was mitigated by the inclusion of native Hawaiians in positions of political power in the Territory of Hawaii. In the interest of keeping the song alive, a number of influential kumu hula, hula masters, led the way in choreographing dances for their schools that included feet that moved to the music. Noelani Mahoe and Ka’upena Wong then sang the song at the University of Hawai’i in 1964. Pete Seeger, a visiting artist and internationally renowned folksinger, was touched by the song’s haunting message and bright music. He asked that it be performed before an international group at a world folk music festival in Newport, Rhode Island. During the ensuing decades, “Kaulana Na Pua” has been widely performed by Hawai’i’s most prominent singers and artists. In order to preserve the song’s subtext, which describes the feelings of dispossession and their resolve to stand firm, the artists have often included it on many recording documents, translating the kaona (hidden meaning) of the lyrics for those who might not be able to speak the language. As a song of protest and resistance, Kaulana Na Pua seemed to come full circle during the Centennial observation of Queen Lili’uokalani’s overthrow which took place in 1993. Thousands gathered at the ‘Iolani Palace to sing this song. Thanks for your visit. I’d appreciate it if you would leave a note or comment below.